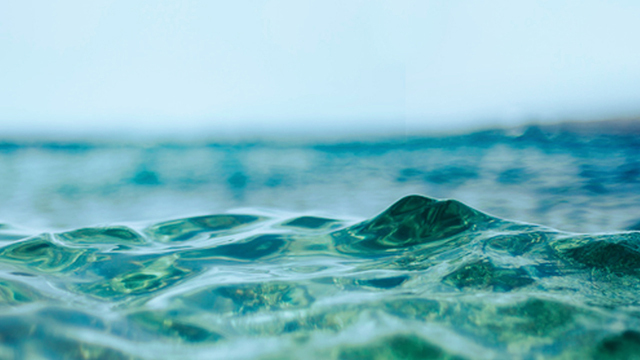 Summer is the time of palm trees, cool blue waters, and the no-makeup makeup look. 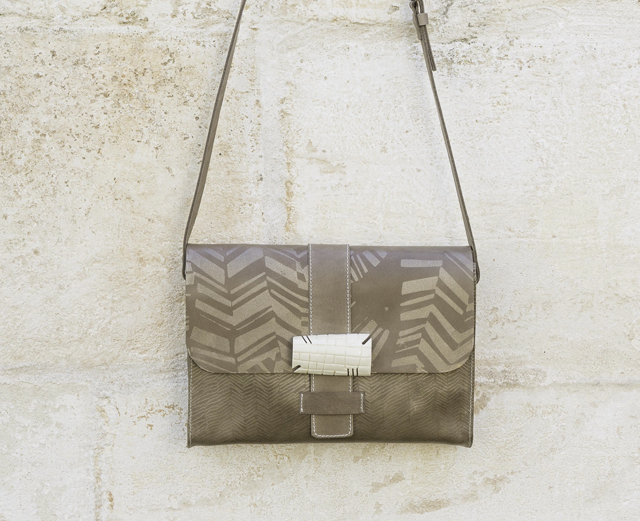 When it comes to effortless summer beauty, a good eyebrow and a simple bag can make your look. 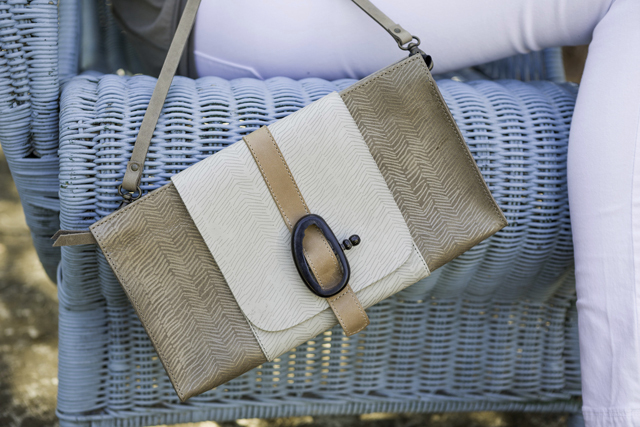 At ONA VILLIER we have compiled a list of 7 incredible summer beauty and fragrance products and expertly paired them each with a matching bag. The Glossier Boy Brow has quickly become a cult favorite since it was released, and it deserves its holy grail status because it’s truly a one stop shop for groomed (or messy) brows. Sweep this product across your brows in upward motions to fluff and sculpt. The Lip Glow Reviver Balm from Dior is not only a hydrating balm, but it is formulated with color reviving technology, making the most dull lips look vibrant. This balm gives a sheer, pink glow to the lips giving your entire look an ethereal summer glow. Diptyque describes their Roses Room Spray as smelling like a “tender, freshly picked bouquet” that “pays homage to the queen of flowers.” Roses can take on a new vibe during each season of the year, and summer is a particularly romantic time to use the intoxicating scent of rose. 4711 is a traditional German fragrance that people have been obsessing over for more than 200 years. The notes include orange oil, peach, lemon, jasmine and tahitian vetiver, making 4711 a perfect choice for a summer fragrance. Citrus gives it brightness, while the deeper bottom notes ground this complex and iconic scent. 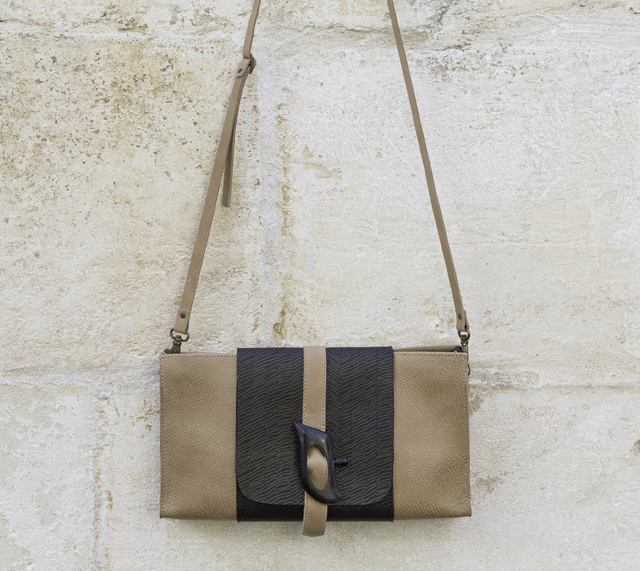 Sarria bag—structured, clean, yet undone. The Sephora Cheek Ink Gel is a long-lasting (and underrated) blush that goes on as a gel and acts like a stain on the cheeks. 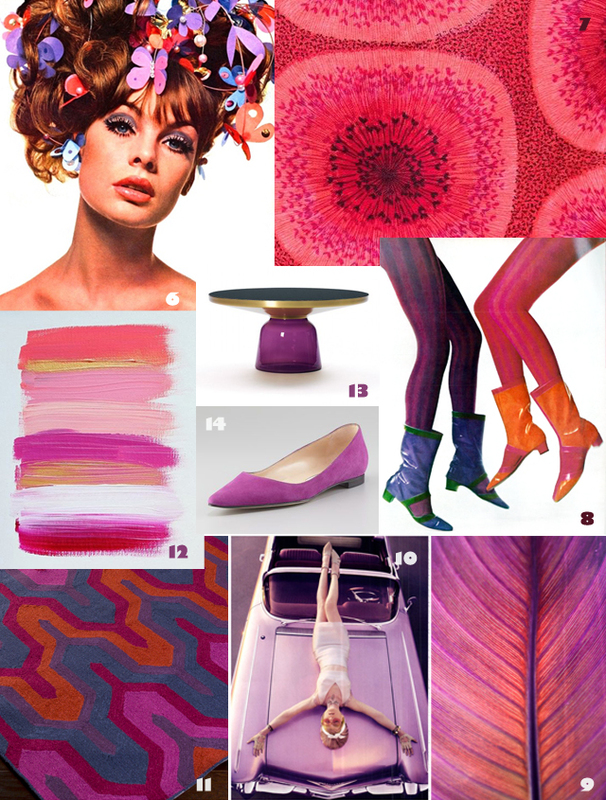 The shade Water Lily is a bright pink that keeps its depth even as you sheer it out onto your skin. The shade is also more of a cool tone which instantly brightens your face. Apply a tiny drop of product onto a dense buffing brush and apply in circular motions onto the cheeks, starting at the hairline and moving towards the apples. The Glossier stretch concealer is a holy grail for coverage. According to Glossier this product contains healthy oils and microwaxes that move with your skin. This concealer truly has the ability to look just like skin, which makes it perfect for summer when you just need to cover a few blemishes or discoloration without putting a layer of foundation all over your face. 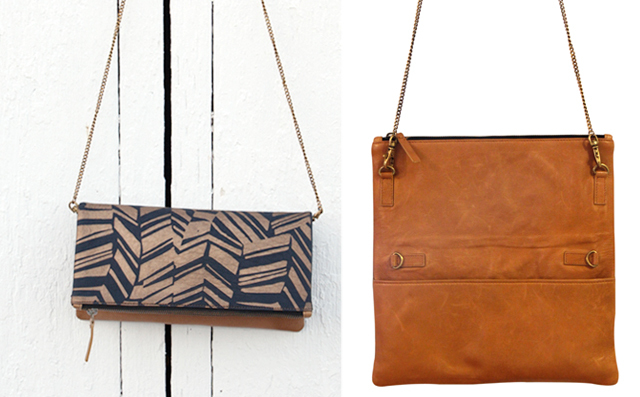 Check out these bags (and more!) 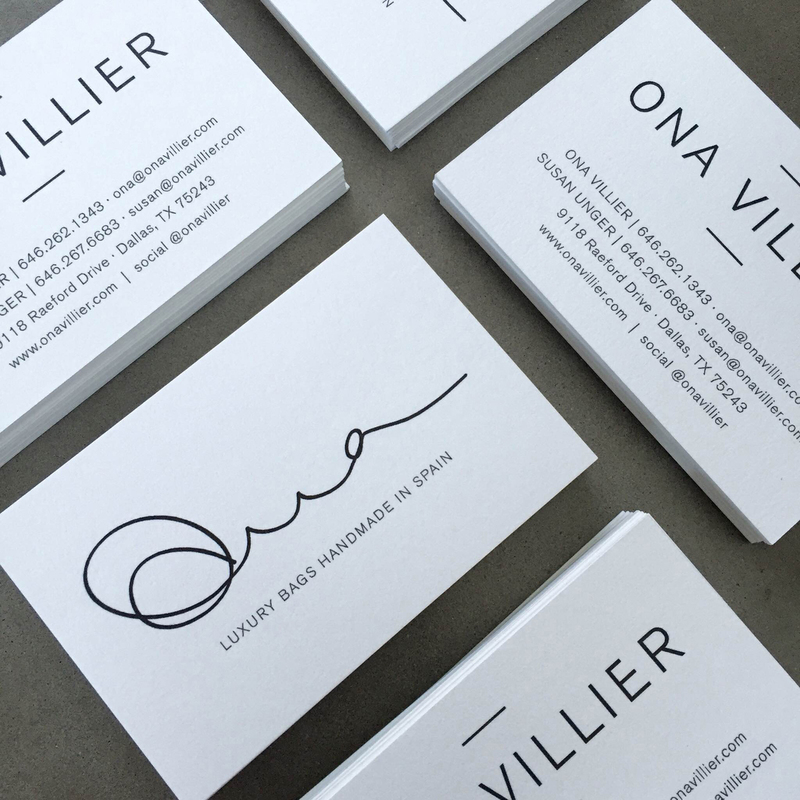 on the ONA VILLIER website. 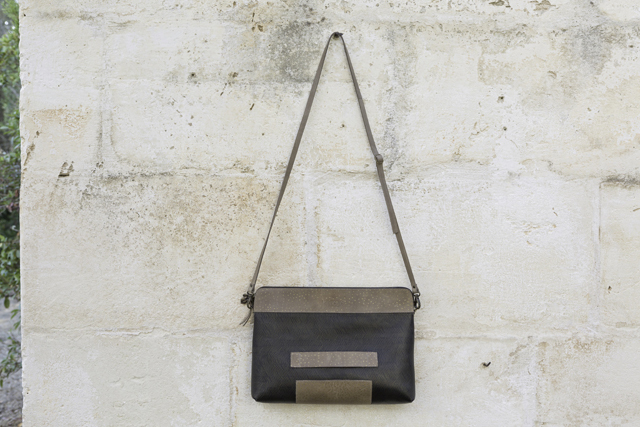 In a world of fast (and disposable) fashion that values trends over quality, one company has decided to do things differently. 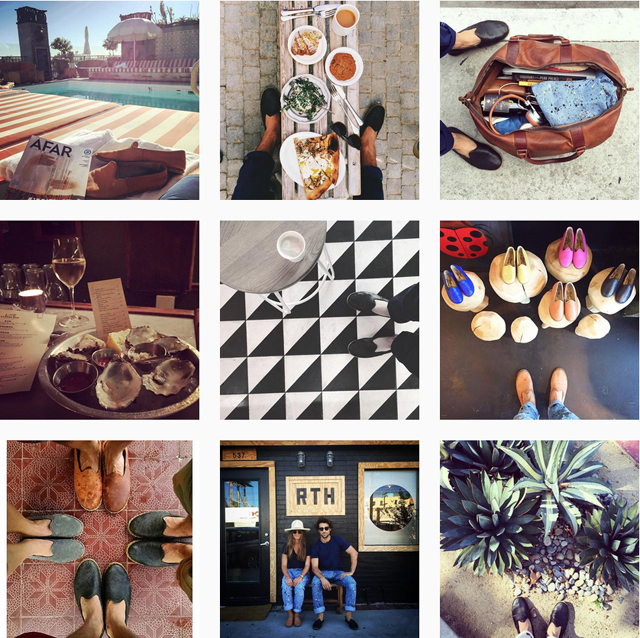 Sabah shoes produce quality leather slip-ons in limited quantities, and are the perfect, bright outfit maker for city dwellers. 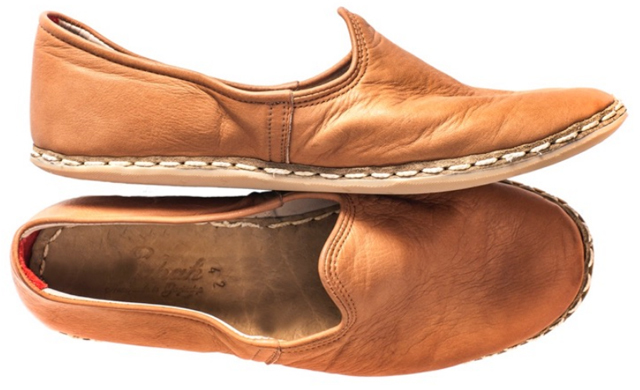 These shoes are hand stitched by craftsman in Turkey who are specially trained in shoe construction. 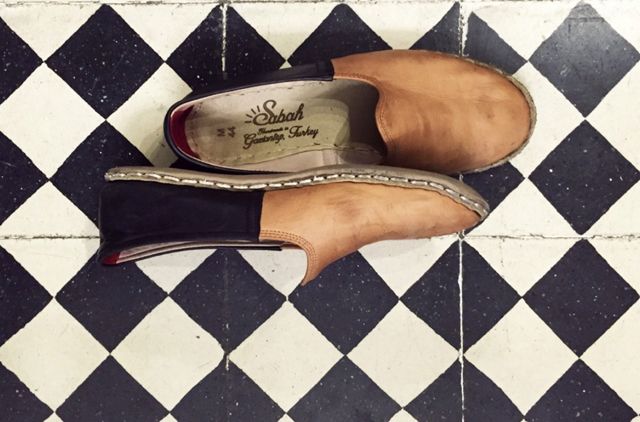 Sabahs are made of a hand picked leather or suede upper and rubber outsole, lending to their aesthetic and quality. Sabahs are a durable shoe, meant to last for years with soles that can easily be replaced by a cobbler. Micky Ashmore started Sabah while working for Microsoft in Turkey. While there, Ashcroft discovered the classic slip on shoe worn by Turkish people. When Ashcrofft returned to the U.S. he continued to wear the shoes, and friends began asking where they could get pairs for themselves. Not knowing anywhere in the U.S. he could send them, he began producing them in small quantities for his friends, but with a few changes (such as adding rubber to the traditional leather soles.) He began selling Sabah’s as a side to his 9-5 job, choosing to rent out a space on Sunday’s and offer drinks to potential customers. 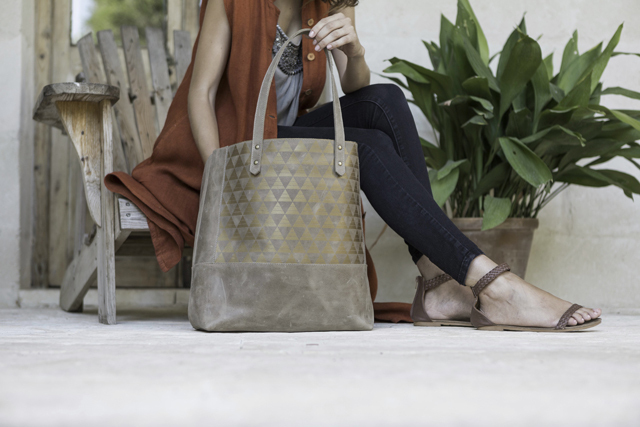 While many new companies rush to sell their products online (we all know anyone can have an Etsy store nowadays) Sabah likes to keep things personal. Shoes can be ordered via e-mail, but there is no sign of an “add to shopping cart” or “proceed to checkout” on the site. This is for two reasons, and the first has to do with production. 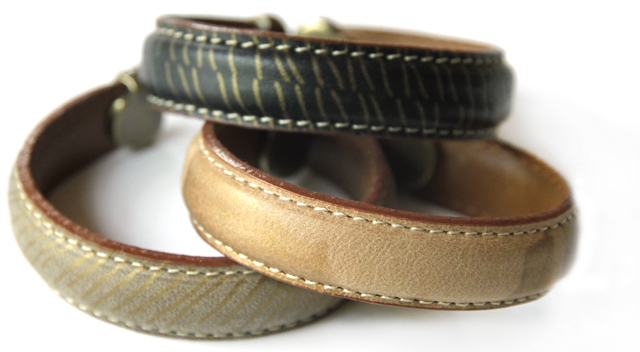 With quality shoes hand sewn by artisans, the company chooses to produce them in limited monthly quantities. Sabah also prides itself on having a relationship with everyone that purchases their product, and chooses to interact via phone, e-mail, or in person over the e-commerce approach. Appointments can be made at their New York space to purchase shoes in stock, or special order a pair that is usually received in 6-8 weeks. 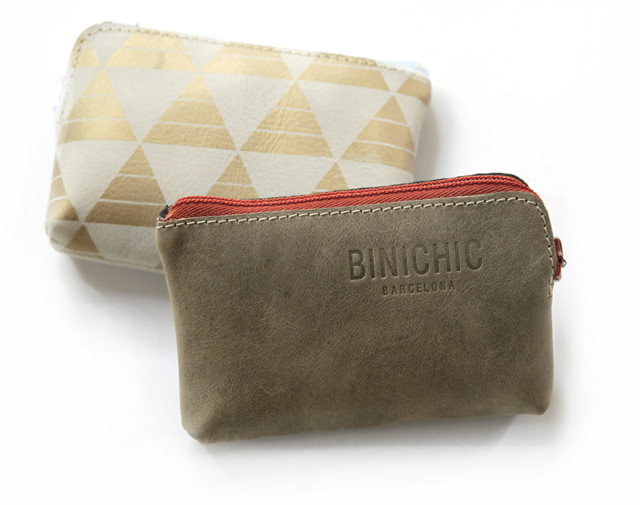 Post by: Kari Gibbons for Binichic. I believe that what makes a project “great” is the designers’ ability to take a good concept and give it shape with an original design, solid quality and a sustainable production. 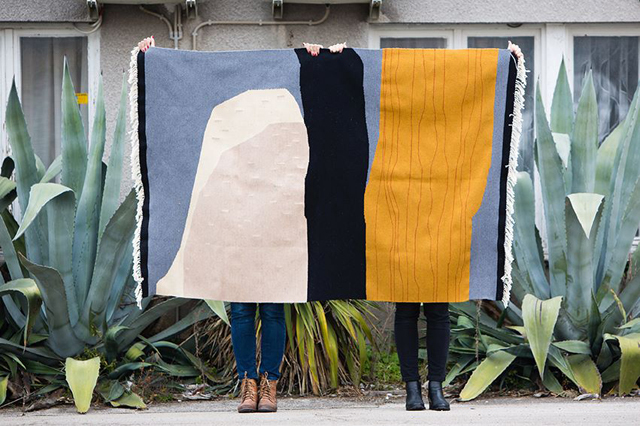 Fellow designers and dear friends of ours, Ivana Blaž and Nina Mršnik of Kobeiagi Kilims, are the brains behind this great new project. 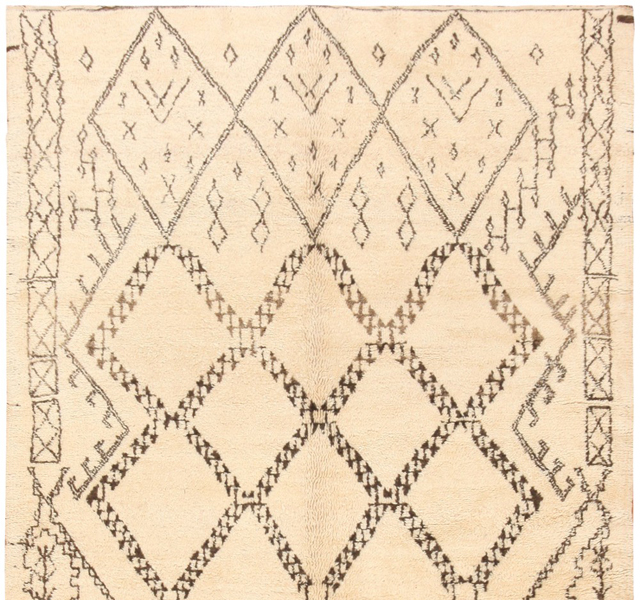 Their love and lifelong admiration of handmade traditional Bosnian kilims led them to create a line of handwoven rugs with their own contemporary designs. 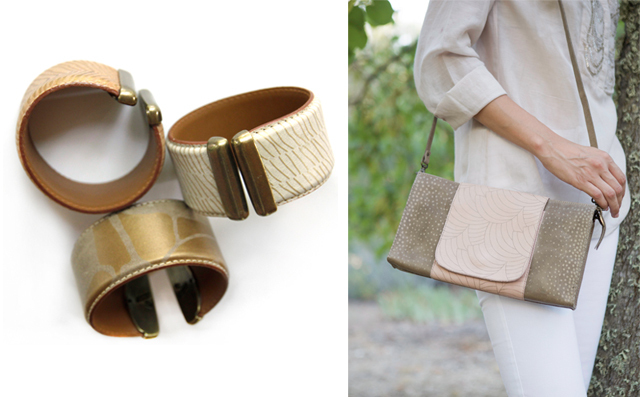 Originally from a small Bosnian town, Ivana is a citizen of the world. 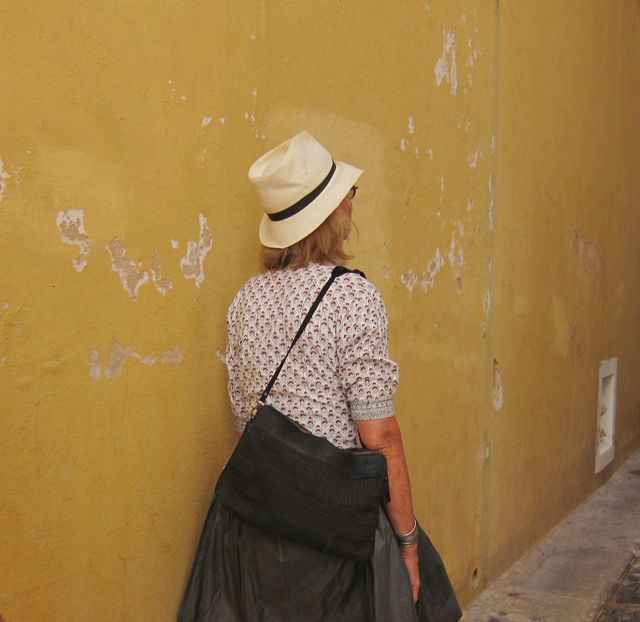 She studied architecture in Venice, and later moved to Barcelona, where we met and became good friends while getting our Masters at Elisava. She finally settled in Ljubljana (Slovenia), where she is currently living. 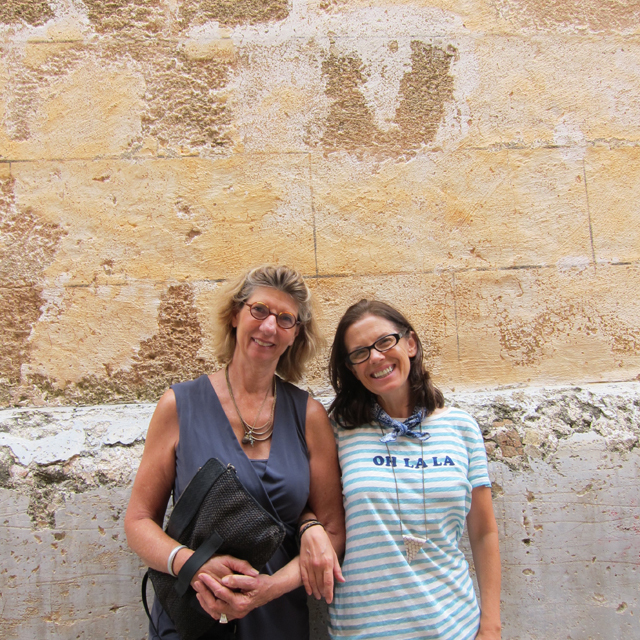 It was there that she reunited with Nina, with whom she had studied in Venice, and together they collaborated on various projects — one of which we featured in an earlier blog post — in the areas of illustration and architecture. Nina is a very talented designer and illustrator who has worked with some of today’s eminent names in the world of design and architecture. She got her MA at the renowned Royal College of Art in London. I knew that ever since Ivana and Nina moved to Ljubljana they had wanted to create a project together that was dear to their hearts and which would allow them to grow as designers while giving back to the community. Kobeiagi was that project. 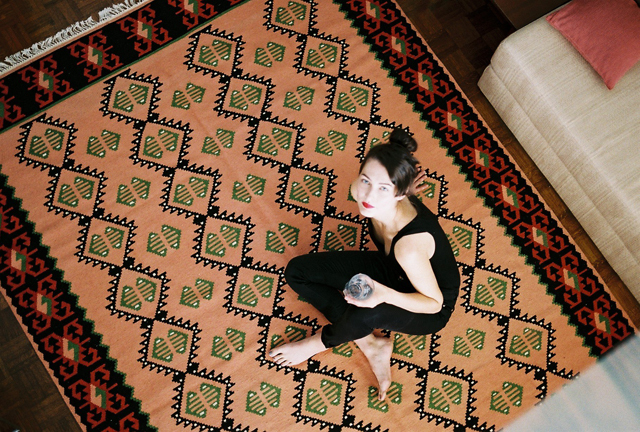 Ivana has been surrounded by kilims since early childhood, since they are an indispensable element of décor in many homes in former Yugoslavia. Apart from being used as regular carpets, i.e. 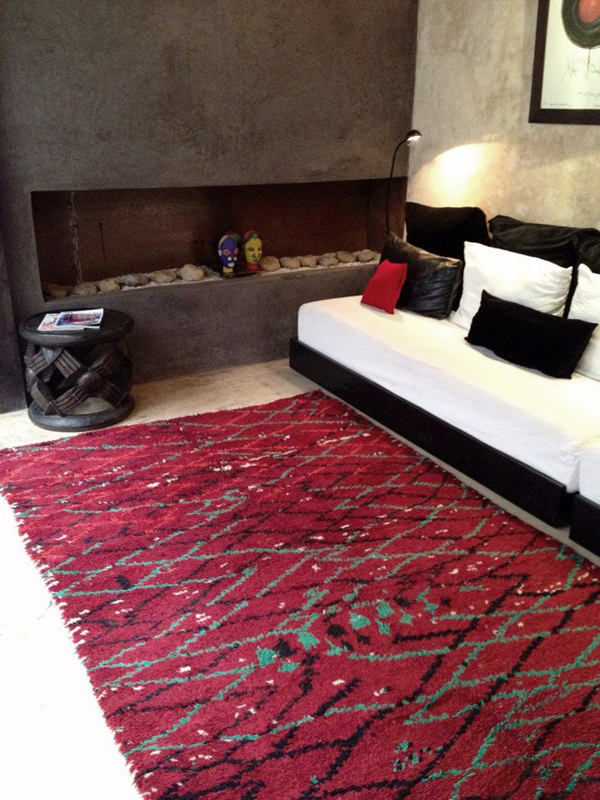 placed on the floor, kilims are regularly featured on walls, sofas and beds. 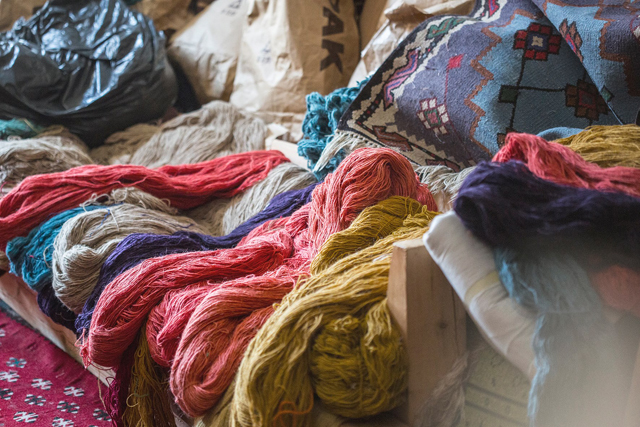 Due to a disappearing labor force of artisans (making each piece almost a relic) and changing tastes, these days traditional kilims are harder to find in modern homes. 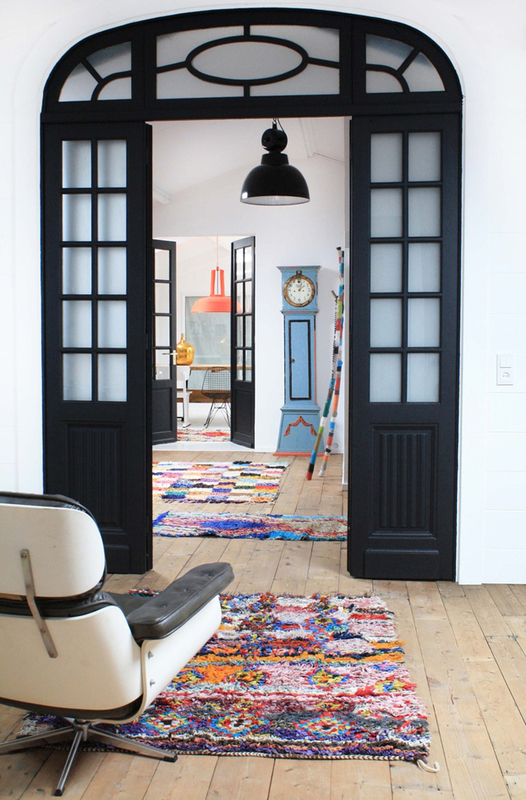 This decline in popularity is why they decided to give the kilim a new life through the use of fresh patterns, following the latest trends in world design. As Mršnik and Blaž perfectly state: “The idea of starting the ‘kilim revival’ project had been on our minds for quite some time before it ripened; but after our visit to Bosnia and Herzegovina, where we saw with our own eyes that almost nobody continues to practice this traditional craft these days, we decided to step into action. 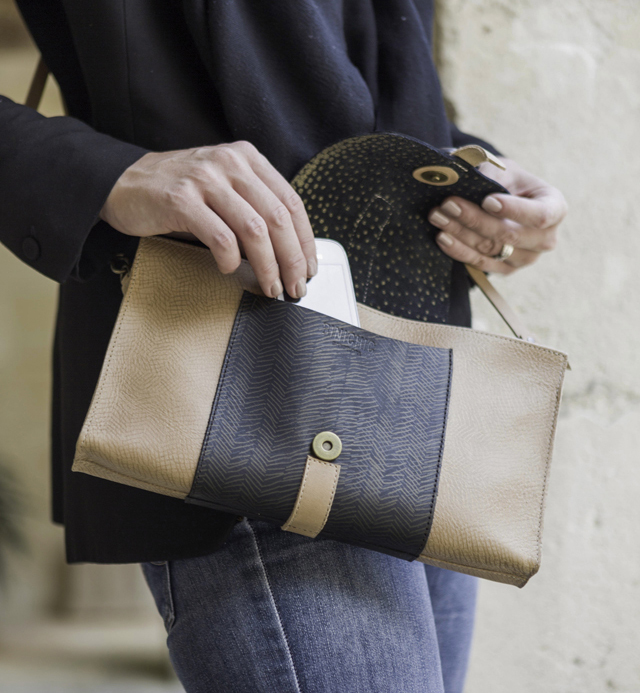 Their designs are whimsical and timeless — and yet they perfectly retain and capture the many hours of savoir-faire and dedication an artisan woman has spent weaving it into creation. 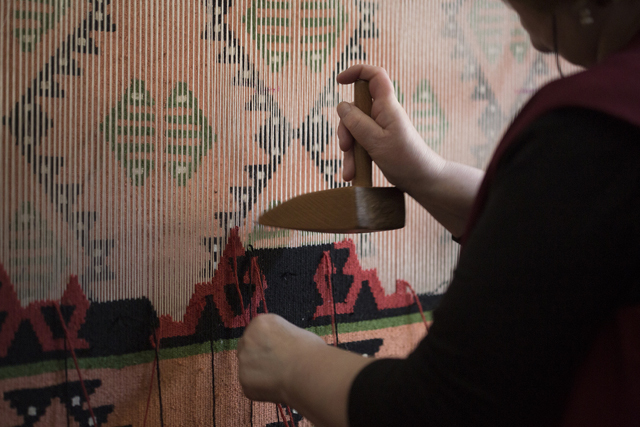 Through their Kickstarter campaign, Mršnik and Blaž want to open a new chapter in the revival of the kilim’s popularity. 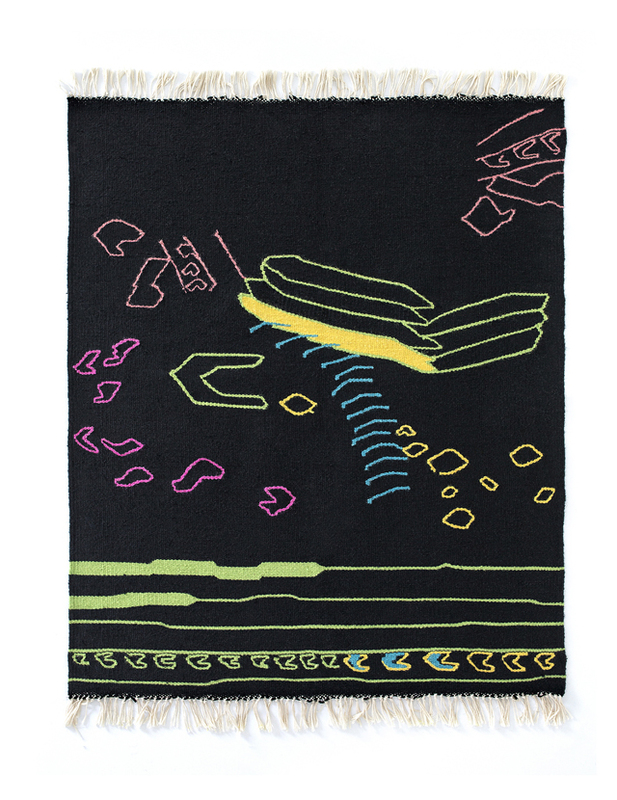 They believe that its high quality, combined with a freshened and unique design, enables the kilim to rise above the huge supply of cheap carpets of mass production. 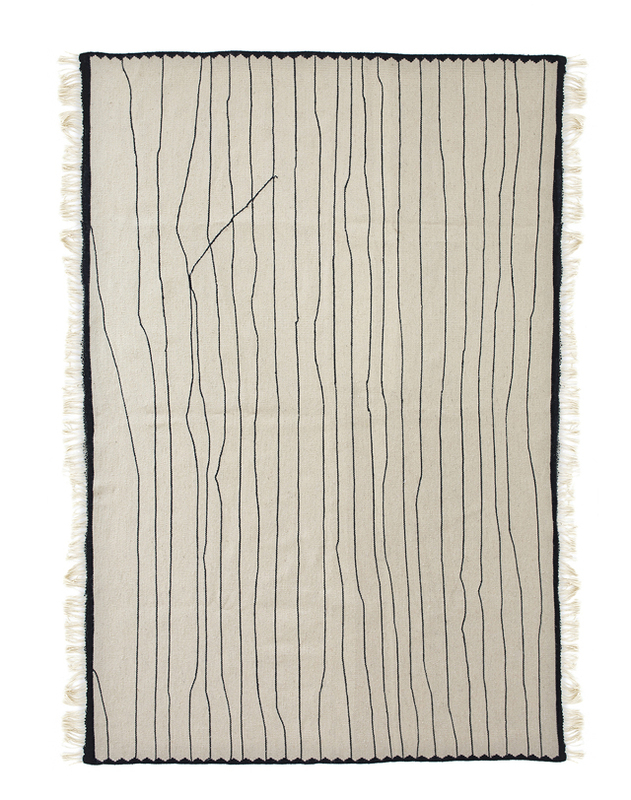 The weavers use exclusively local wool, which is renowned for its superior quality. Wool is a remarkable material, as its thermo-regulating properties allow it to keep one warm in the winter and cool in the heat. 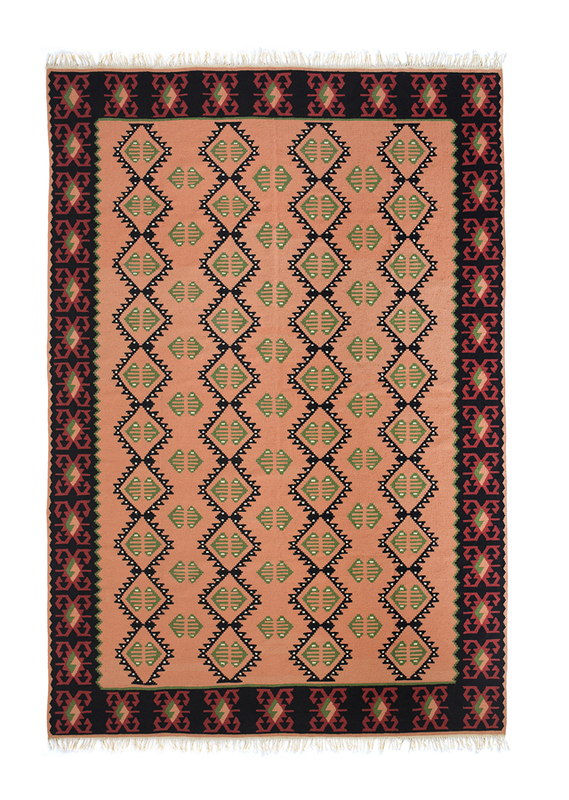 Every kilim is unique and it is the result of concentrated, patient handicraft; thus a kilim of 100 cm x 70 cm takes 4 days to realize, while the largest kilim with the dimensions of 200 cm x 300 cm takes a good six weeks! 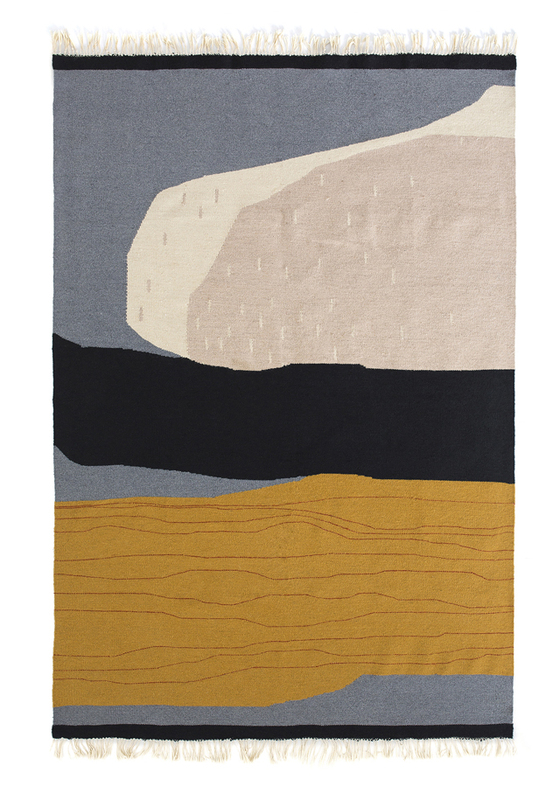 They named the rugs after their favorite people, and each piece is sure to become part of your family as it transcends trends and becomes an heirloom to be passed down through the generations. 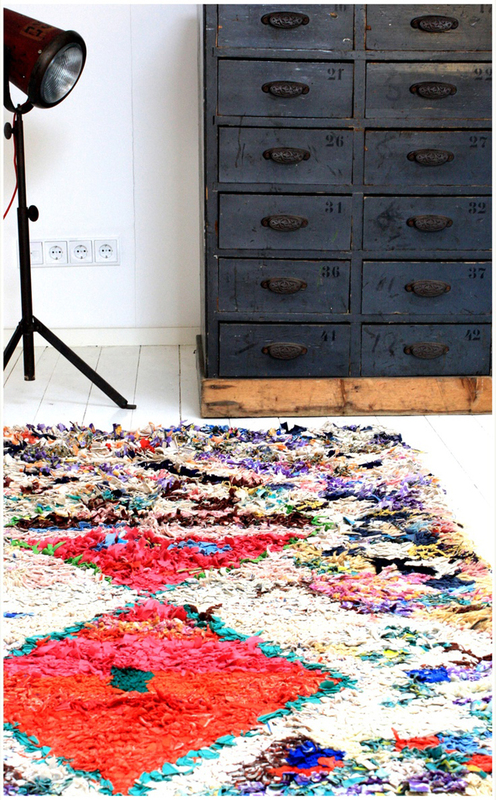 I am very excited to see this project come to fruition and receive my Kobeiagi kilim in a couple of months… now I just have to make up my mind and decide which one to pick! I finally have the time to sit down and write a proper post. 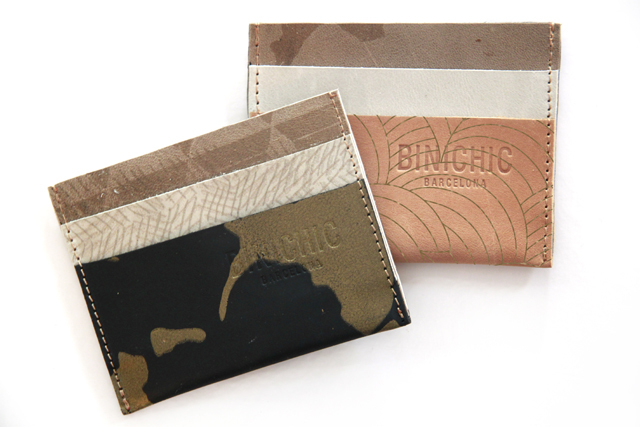 We’ve been so busy lately working on different BiniChic projects, that it’s been hard to find the time to tell you all about them. 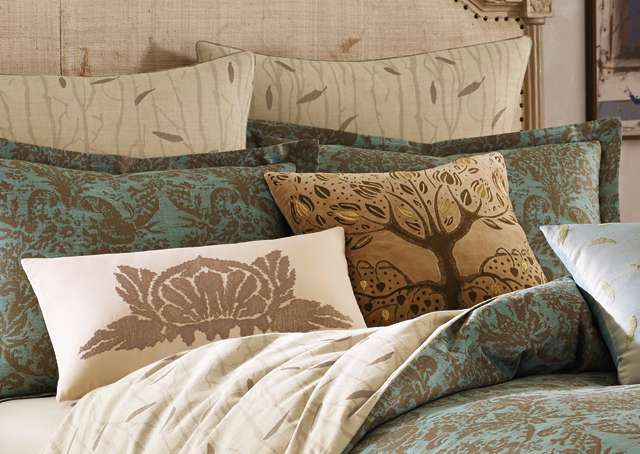 We have some exciting news today: our bedding collection is here! Yes, you read that right — BiniChic partnered up with WestPoint Home and designed a beautiful, quality and affordable line of bedding. 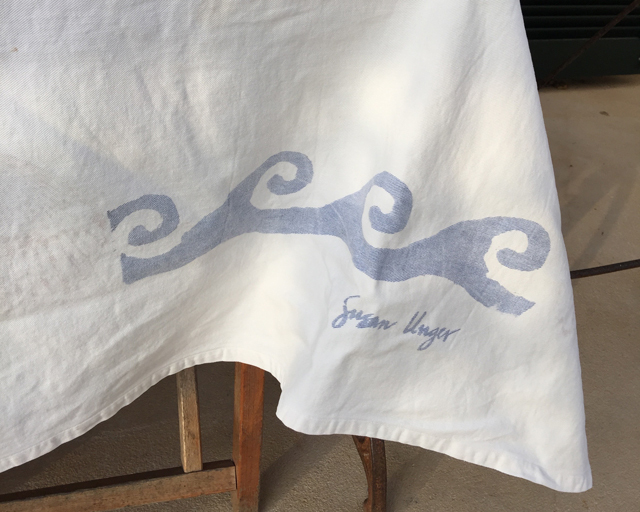 Having our own line of bedding made perfect sense: our BiniChica Susan Unger has spent most of her life creating poetry with fabrics, so this was a natural extension of our brand. 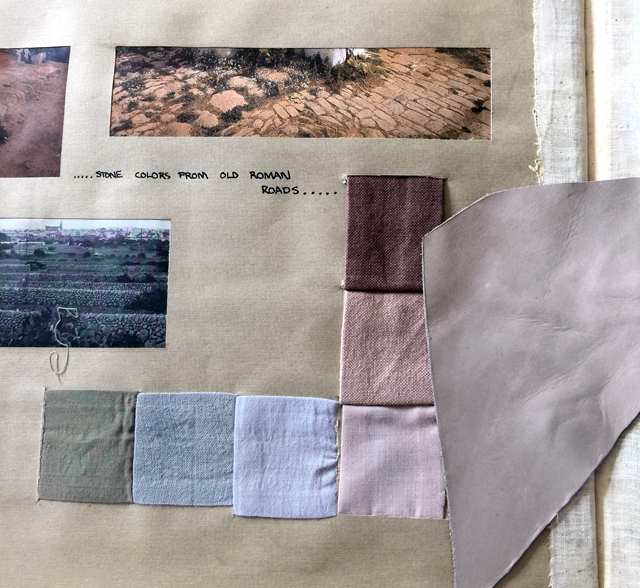 We delved into the BiniChic archives and created mood boards that represented the different “vibes” of the BiniChic Lifestyle. Together with the talented team of designers at WPH, we selected our favorite moods and made artwork which they then used to create the duvets and pillows. The BiniChic Bedding is inspired by the Mediterranean Island way of life mixed with a fresh modern take on bohemian vintage of Fortuny and Barcelona’s architecture. 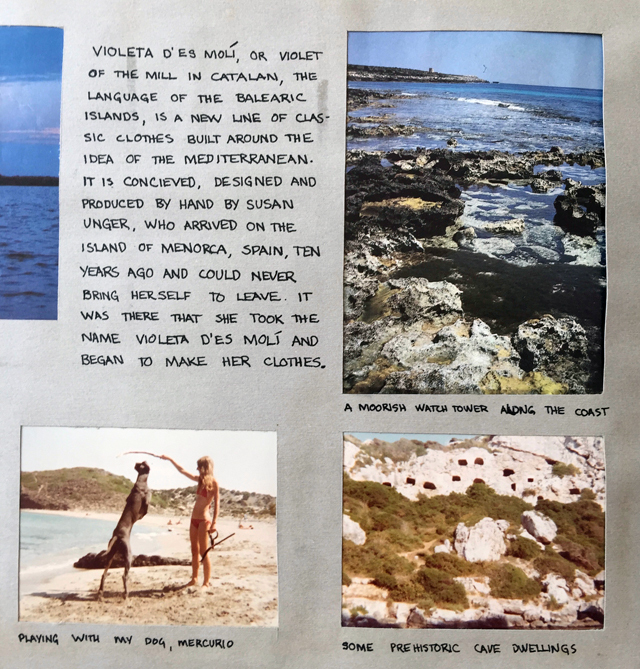 We wanted a collection that speaks of craftsmanship for today’s world — something that reminded you of that wonderful trip you took to the Mediterranean (or that you’ve always dreamed of taking). Easy to live with, it is refined and traditional. 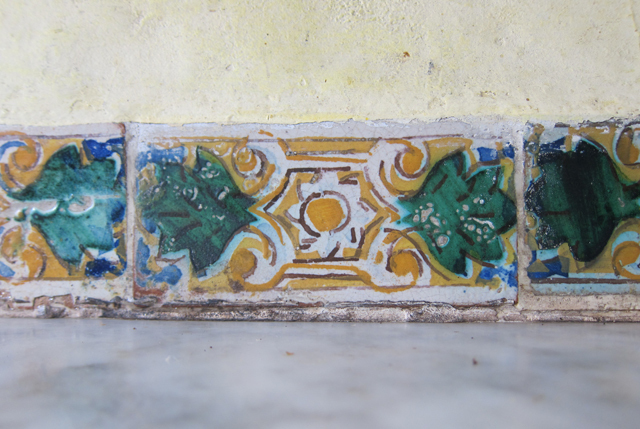 The image above is of the Terracotta bed. 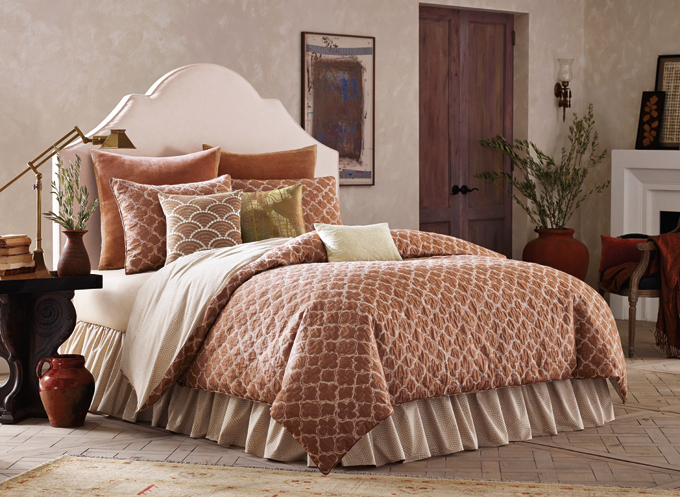 Inspired by Spanish mosaic floors and glass windows, the top-of-bed is a mattelasse jacquard handdrawn quatrefoil motif in ivory on a warm terracotta ground. 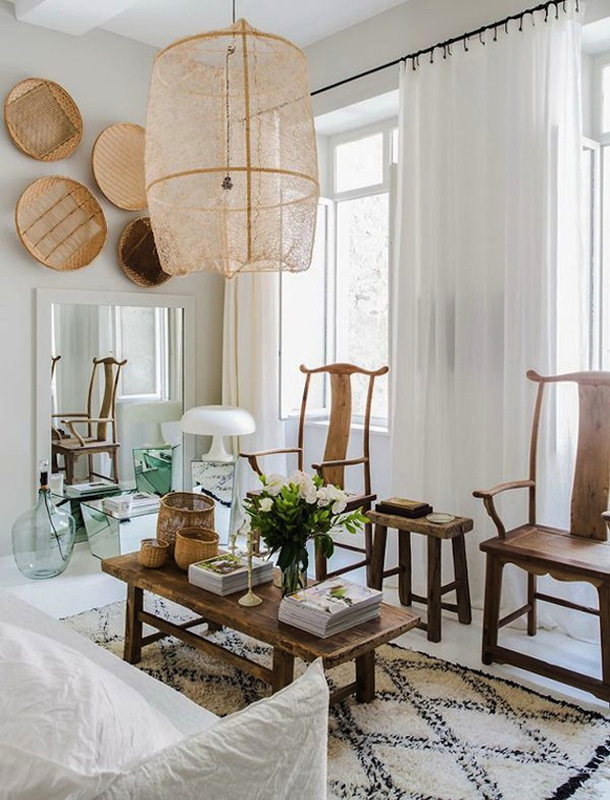 The Terracotta bed transports you … the warm sun is coming through the trees and houses while you stroll down Barcelona’s winding streets in the Barri Gòtic…. 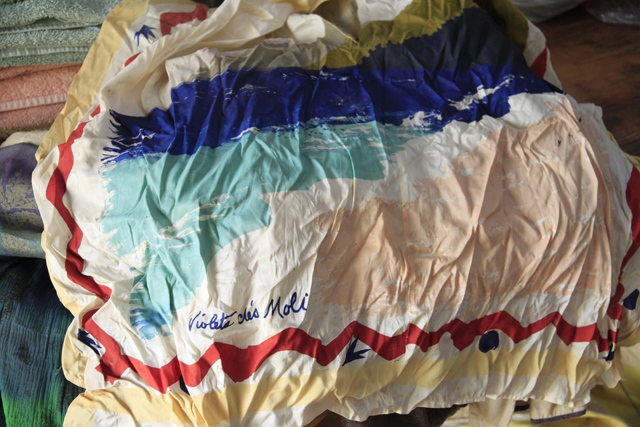 We wanted our bedding to be both beautiful and practical, so we made all the duvets reversible. This way, you can create an entirely different look and feel as easily as turning the duvet over. 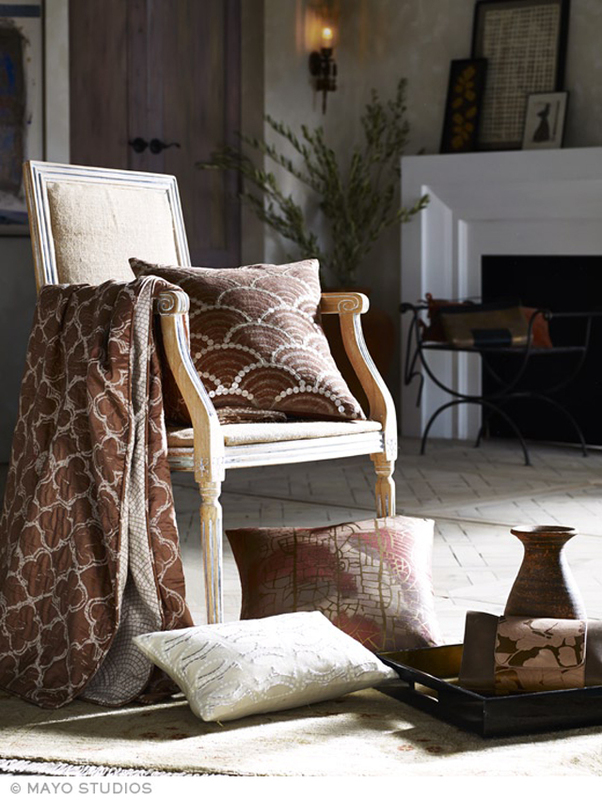 The Terracotta reverses to a 300-thread-count cotton sateen, which feels very soft and rich to the touch. 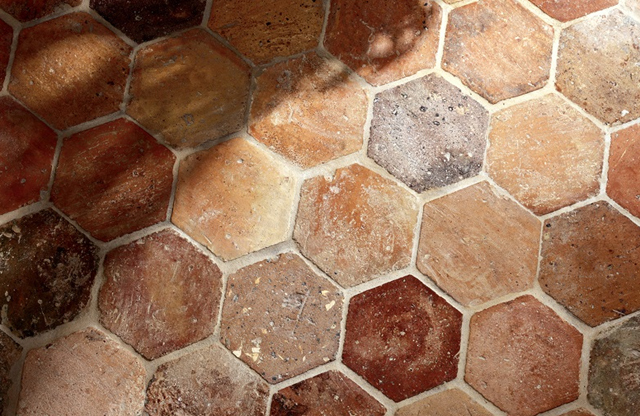 The motif is an off-white scalloped mosaic texture that is reminiscent of the street pavements the ancient Romans made while in Barcino (that was Barcelona’s name during Roman times). 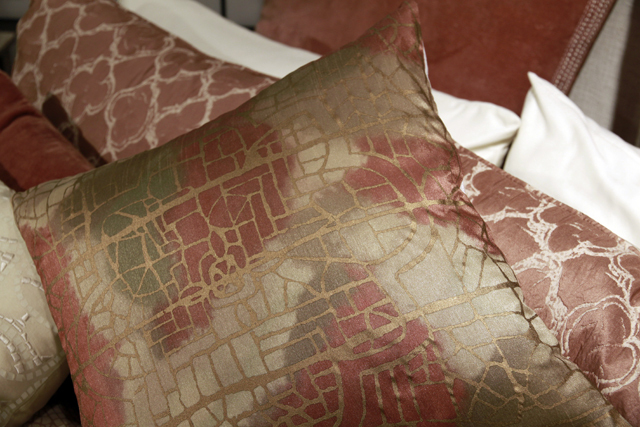 To go along with the duvets, we designed a series of pillows that highlight the rich heritage of the BiniChic Bedding. 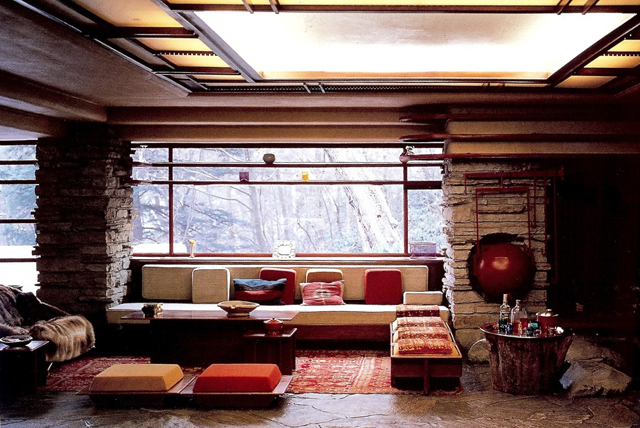 The Stained Glass is a design from the Susan Unger archives. 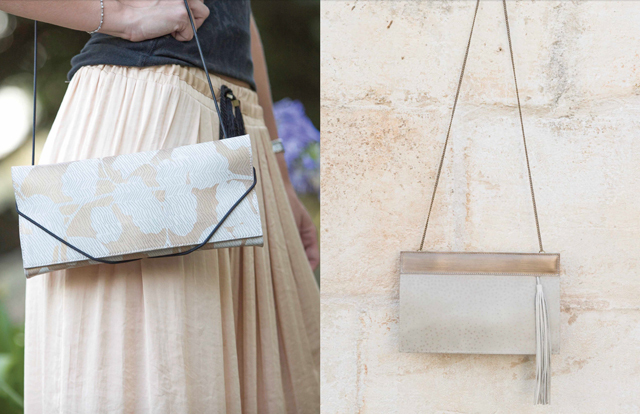 Susan was inspired by the windows in a Romanic church in Barcelona. She created the effect of the stained glass by silk-screening the outline of the window in metallic over a colorful hand-painted background. The white-on-white embroidered pillow is also cotton sateen, and adds an airy touch to this warm bed. 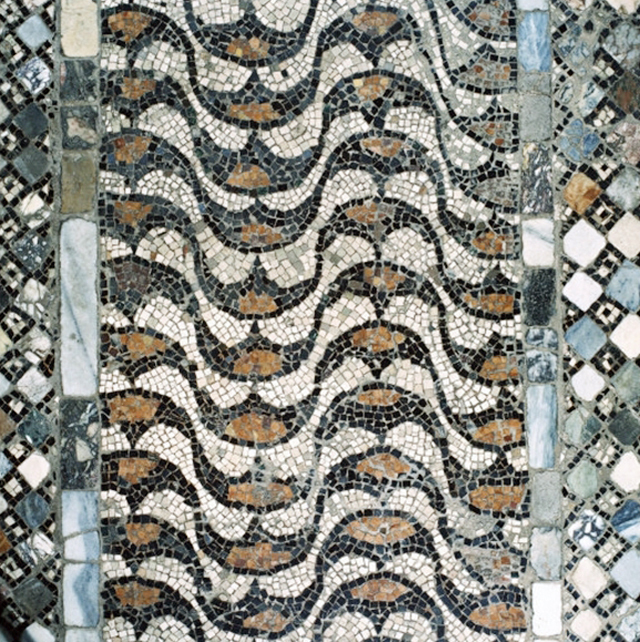 Its design is another interpretation of the Mosaic motif, inspired by one of the many mosaics from Tarragona, an important colony in ancient Rome. 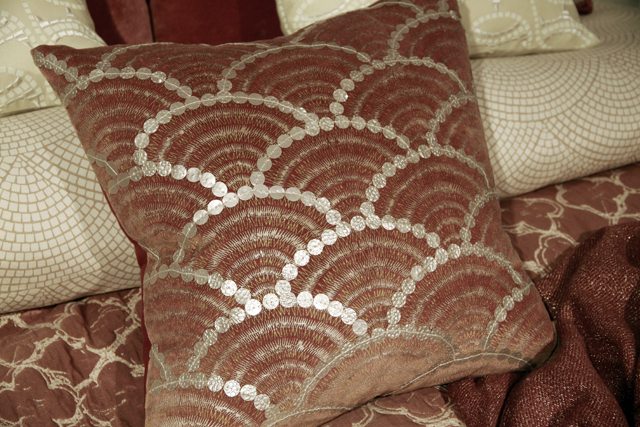 The Scallop motif reappears in this square pillow featuring mother-of-pearl buttons and silk embroidery on cotton velvet. 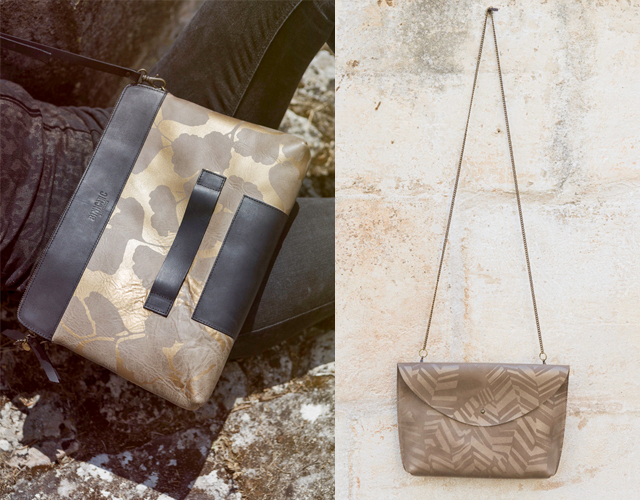 We love the richness of the details. Foscari is the name of Fortuny’s Venitian Palazzo, as well as that of our second bed. Originally from Barcelona, Mariano Fortuny was well-known for his innovations in textile creation and for his marvelous atelier-palace in Venice. Since he’s always been an icon to us, we thought it would be appropriate to name this bed after his home. With this bed, we take you on a trip to the Venice of another time … through the tapestry-covered salones of Fortuny’s Palazzo, filled with rich velvet draperies and vintage lamps. 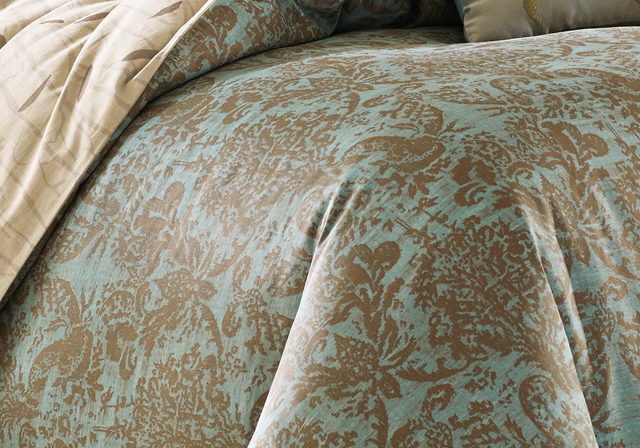 The main motif of the Foscari bed is a hand-drawn damask pattern from our archives. 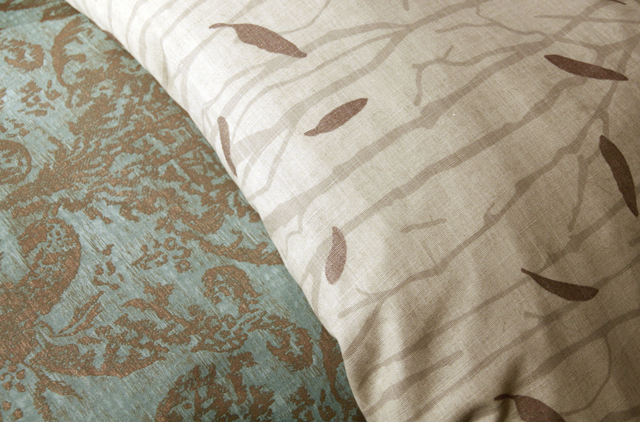 Printed on a 300-thread count cotton sateen with a textured ground in foggy aqua and subtle metallic highlights. This bed feels very lavish and elegant. 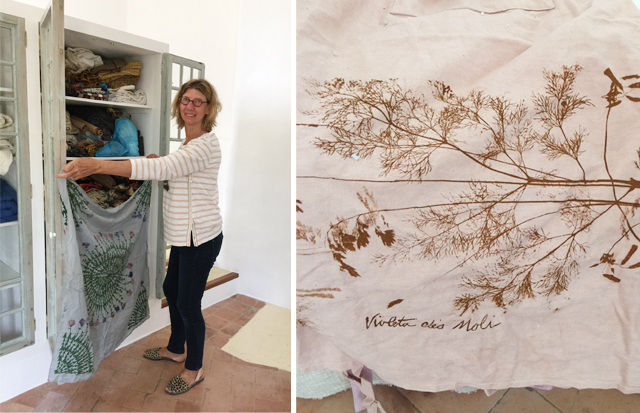 The reverse of the Foscari bed is a linen-like fabric printed with branches and falling leaves in subtle metallic ink. We really like the feeling of rough-luxe that comes from the juxtaposition of the front and the reverse of this bed. 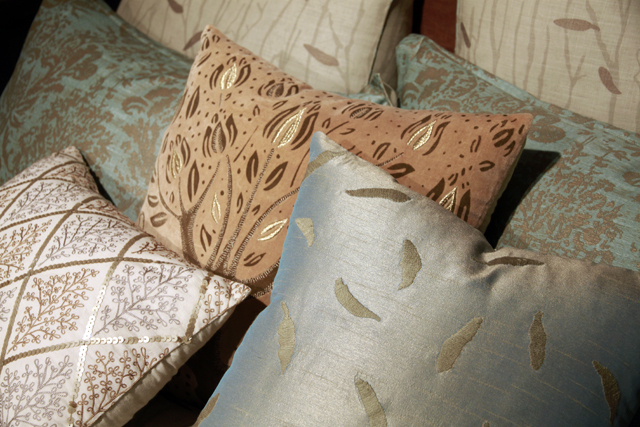 The oversized lumbar pillow is a restful lotus flower embroidered on a cotton sateen. 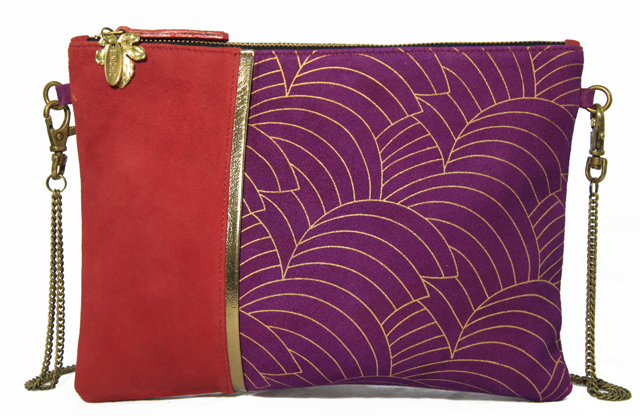 It pairs very nicely with the Tree of Life, which is printed on cotton velvet with appliqued metallic leaves. These designs of ancient symbols are from the Binichic archives. 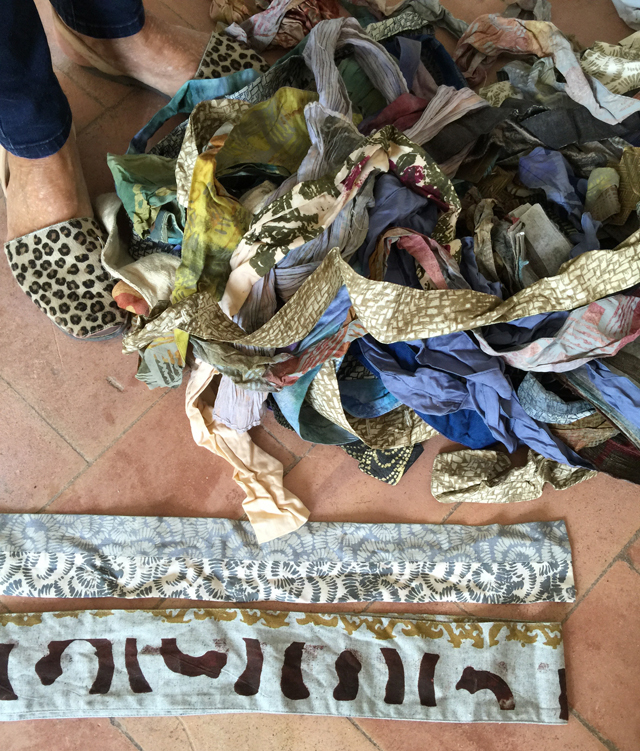 They both feel like they could be items from Fortuny’s prized collection of antique artifacts from faraway lands. 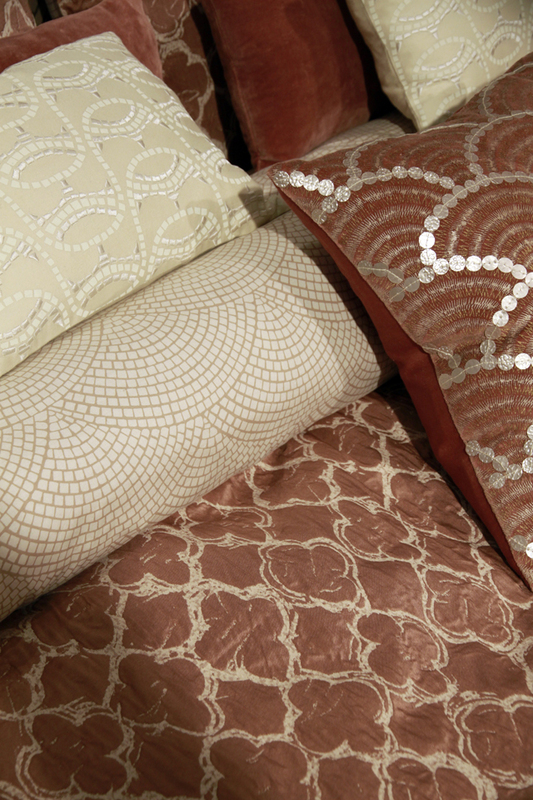 Metallic embellished pillows give a sense depth an add to the “luxe” aspect of the bed. In the 18″ square, we love the contrast between the cross-dyed tafeta background and the wool embroidered leaves scattered across it. 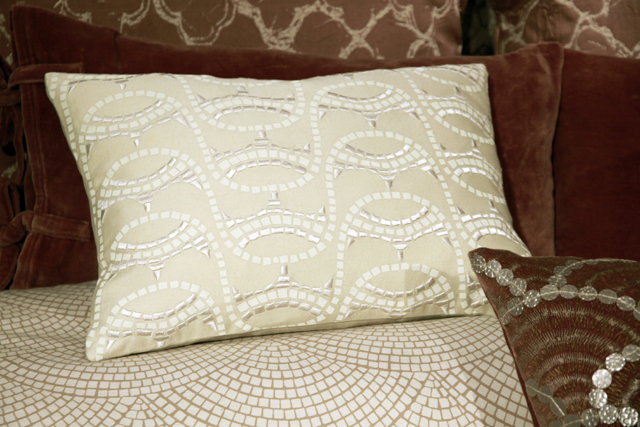 The bolster with sequins reminds us of an old botanical illustration. 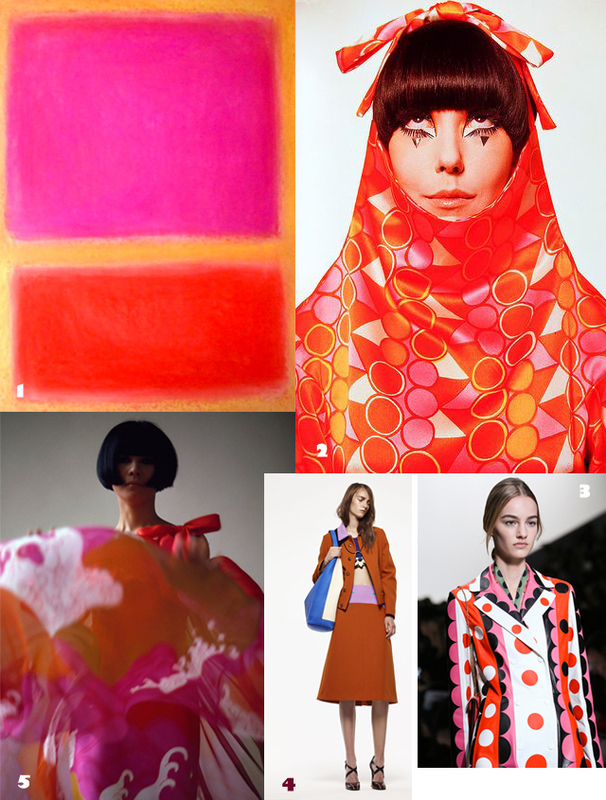 Eclectic, sensual and contemporary. Stay put for more information on where to get your own BiniChic bedding! A few years ago, Susan commissioned Regan Bice to give S’Olivera a contemporary relevance while retaining its original soul and spirit. 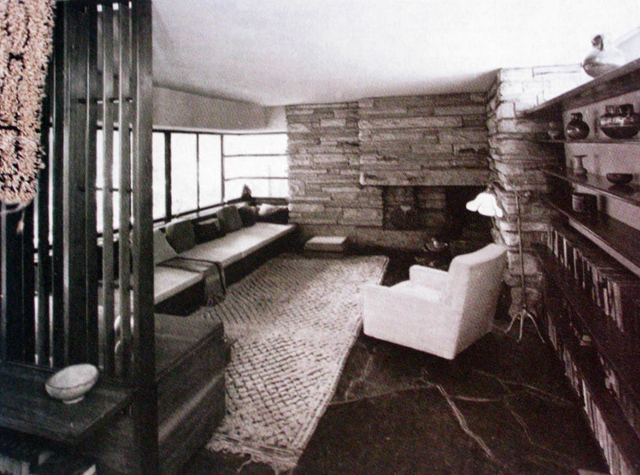 The solution was to adapt the interior so that the very essence of emptiness revealed its purity. 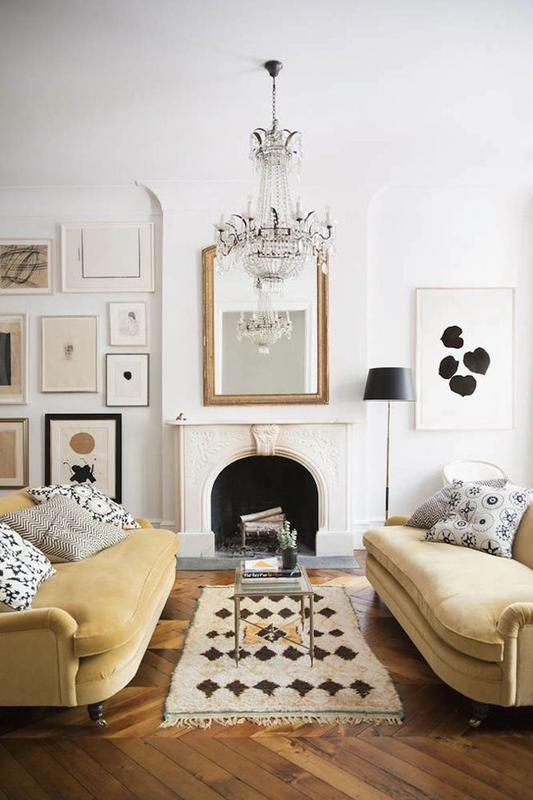 To take it back to a blank canvas of pure white walls, so that their art, along with the architectural features and a few well-chosen objects became the main focus. These are the chronicles of this process. We hope you’ll come along with us for the ride! 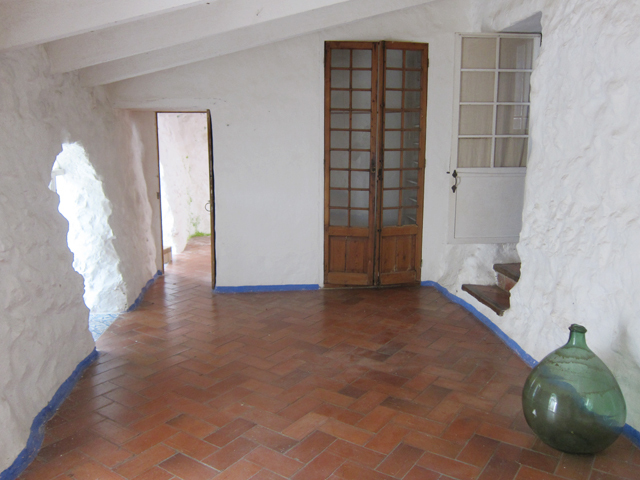 We want to share some photos we took of our house, S’Olivera, right before we start the renovation. We don’t have a lot to say about it—its more of a visual experience. 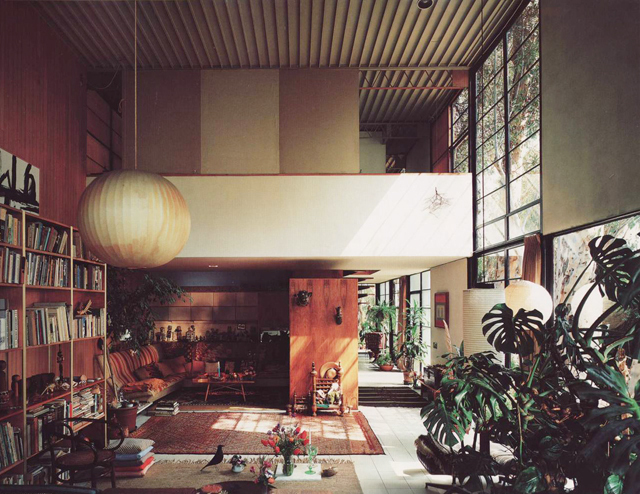 In looking through the photos of our Living Room, I notice lots of windows and openings to break up the interior space. 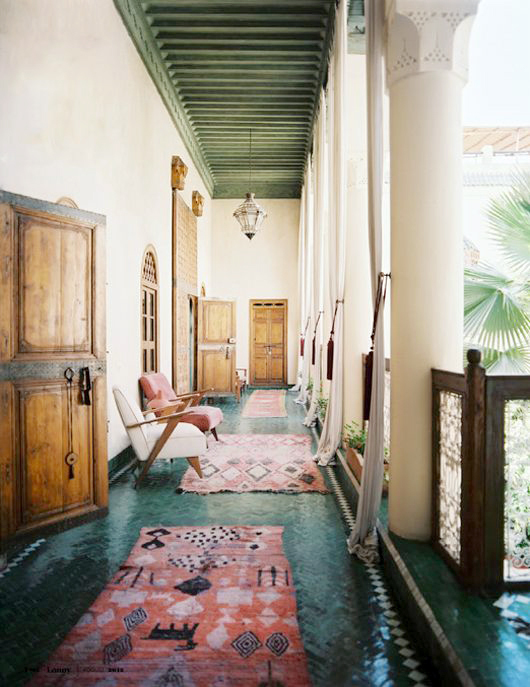 The doors and windows come in several styles, all of which were restored and repurposed for this setting, over 30 years ago. 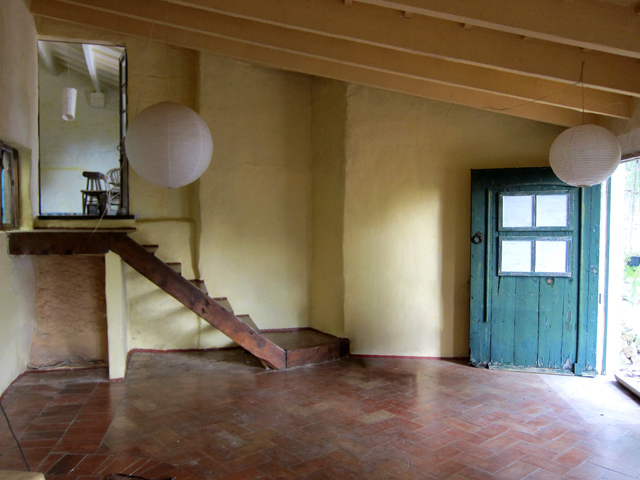 This room will become an independent Studio/apartment with its own entrance. 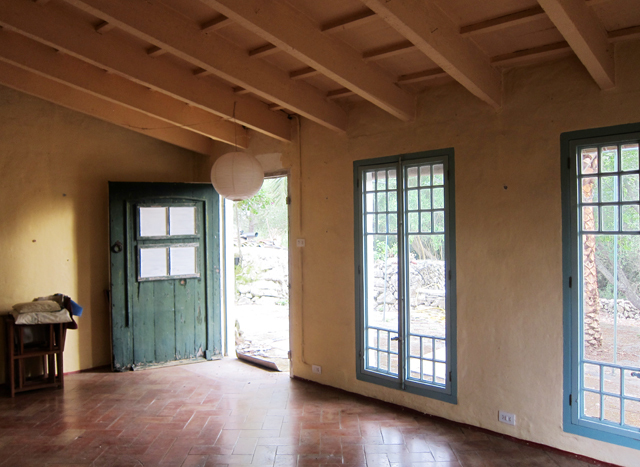 We hope to reincorporate some of these doors and windows in the new construction. 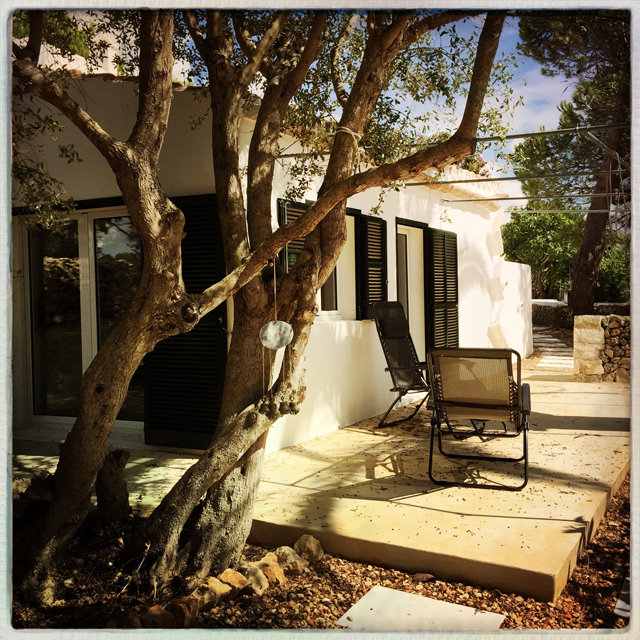 At the top of those steps is the kitchen—where the magic often happened. 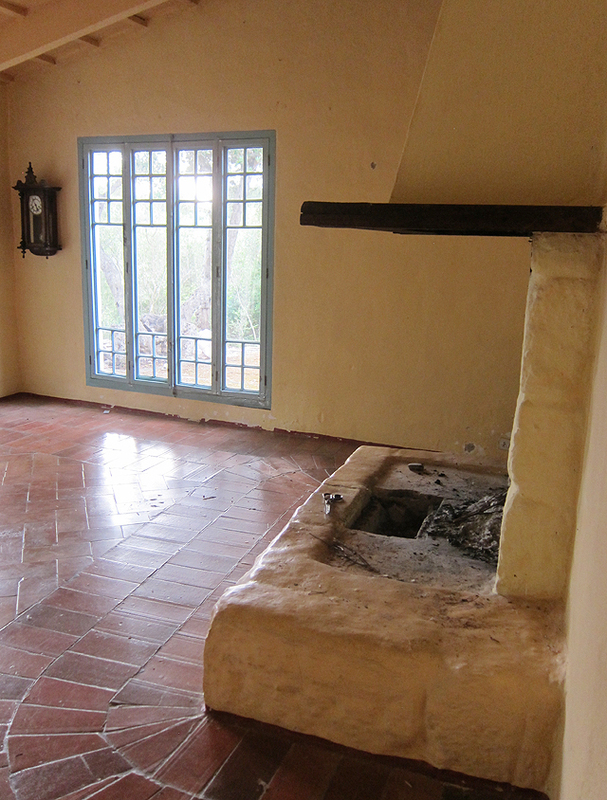 That is why we want to keep it as the center of the home, a place for our family and friends to gather over a good meal. 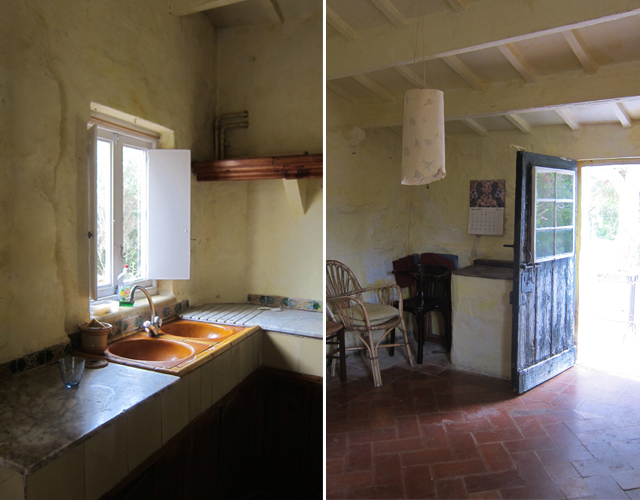 Marble counters, trimmed in very old hand painted tiles, tile floors and some basics— fire and water — were all that was needed to convert groceries and garden produce into food and sustenance over the years. 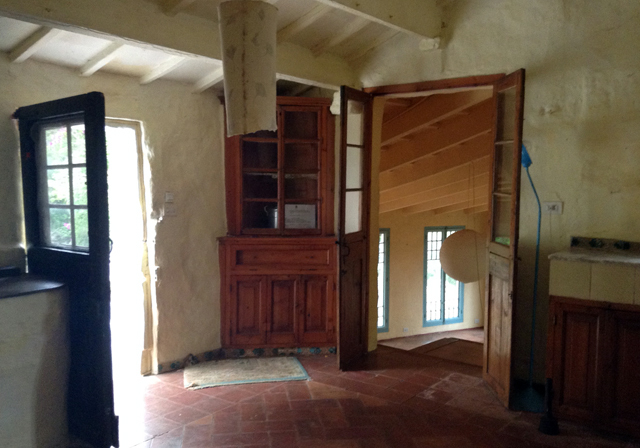 A big table was in the middle of the room, and that’s the opening of the cistern next to the door. We made that corner pantry and all of the cabinets in the kitchen from repurposed pieces of wood. 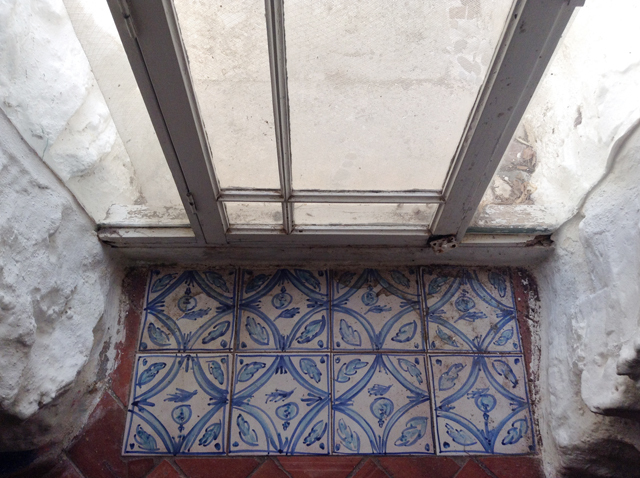 Our bathroom was a sturdy collection of restored and rebuilt sinks, mirrors, tubs and tiles. 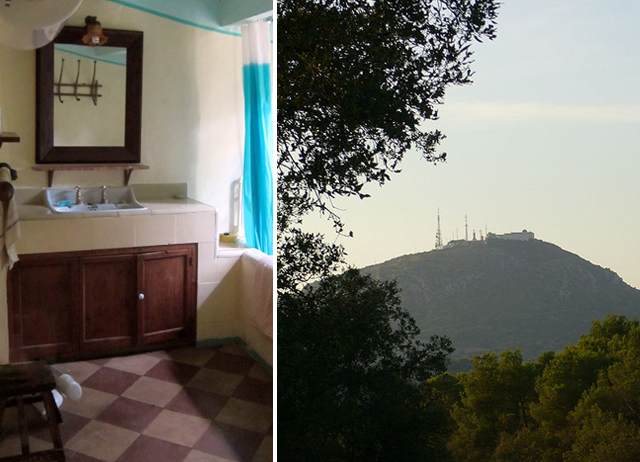 The view of Menorca’s highest mountain— Monte Toro — from the tub was spectacular. 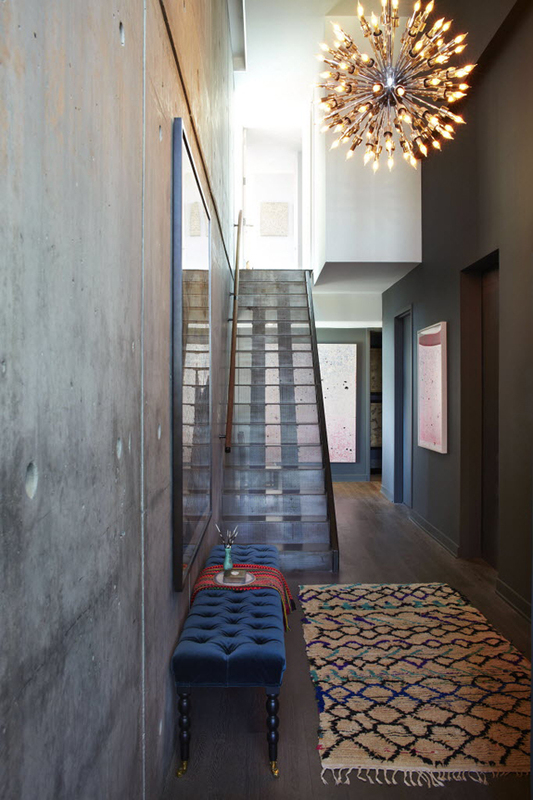 The hallway is like the dorsal spine of the house—-bringing light and movement throughout. 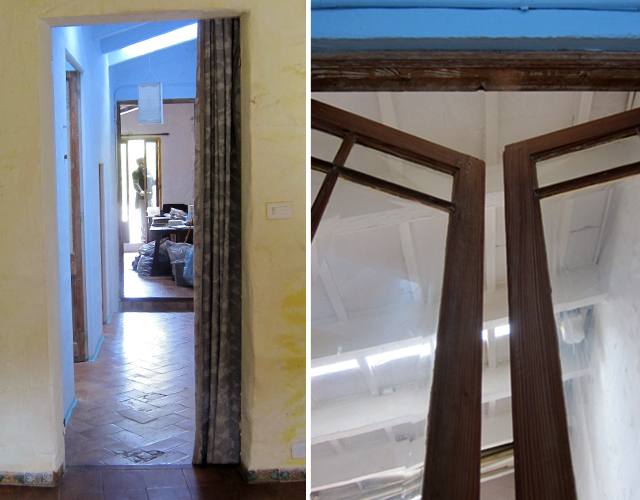 It has an unusually high ceiling with 3 skylights, so we used a collection of tall, elegant doors to define bedrooms, storage and work spaces. This will be a dramatic shift when we eliminate all of these walls and doors to return this space to its original hay barn open loft plan. Another opportunity to observe how the widows poke bright holes in the massive, solid walls comes in the bedroom. 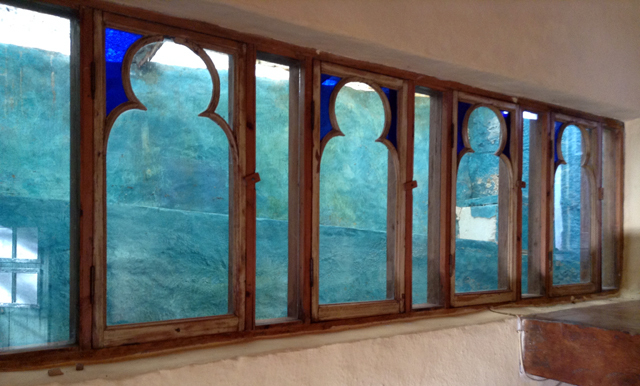 First we have some of my personal favorites—the original, primitive arches, (from the humble sheep stable origins) which we took great pains to preserve with clear glass and a framed window. 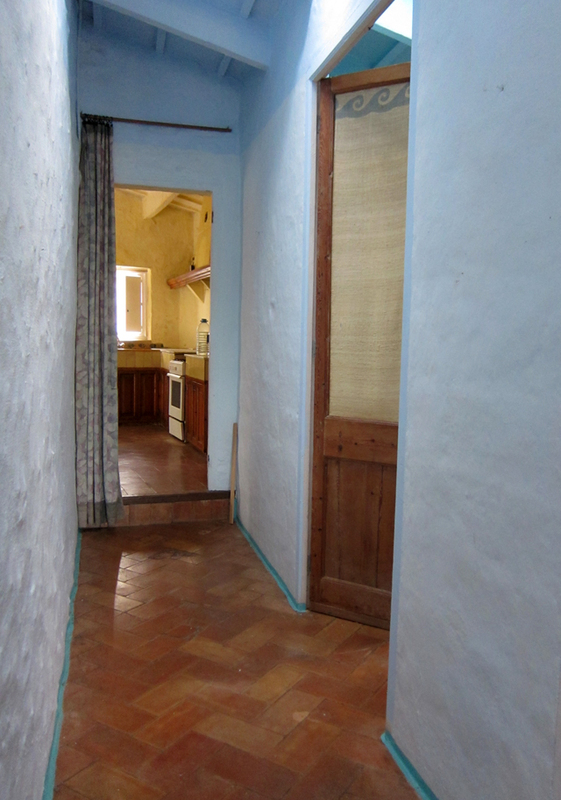 The 4 ft thick walls enclose the view in mythic proportions. This picture shows how doors of many sizes and styles work together on one wall. The closets were hollowed out of the space between rooms. 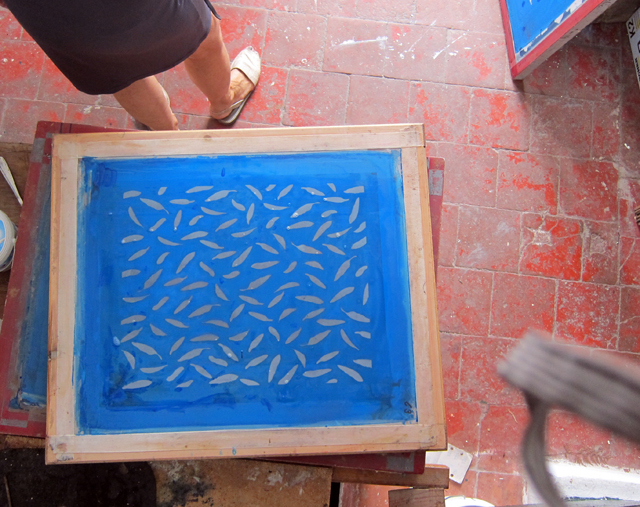 They give a rectilinear, geometric slant to the otherwise organic shapes. 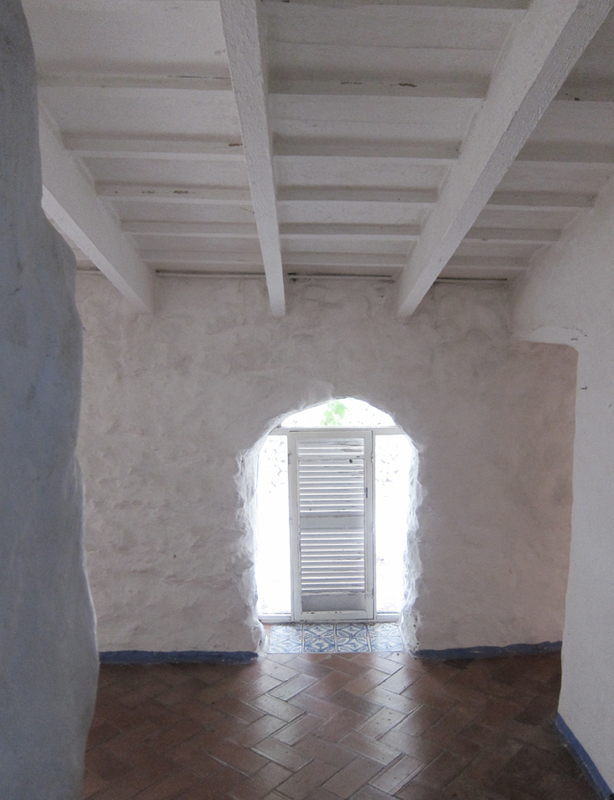 This gives you an idea of S’Olivera from the inside. Next we will take a tour of the outside and see how the garden looked before and after. 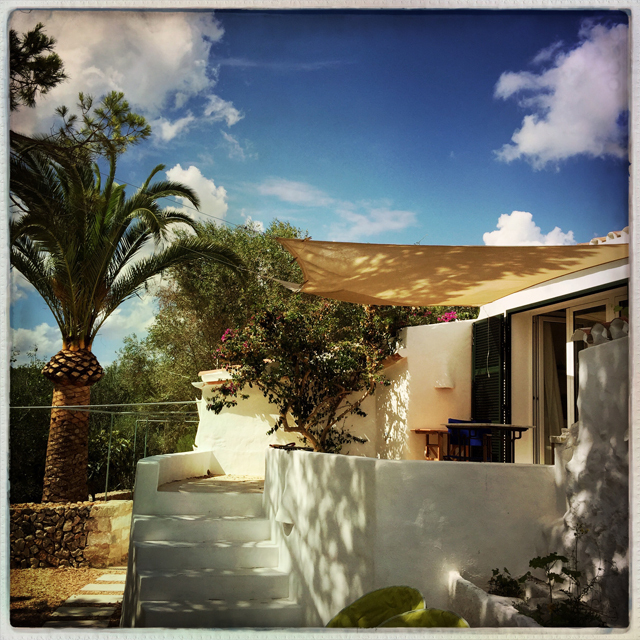 All photos in this post by Susan Unger — except for three, which were taken by Núria Gavin.